Realtime Prices, Sentiment, Tweets, Scuttles, News and discussions on Pricelinecom Inc. Priceline Com Incorporated, is an online travel company that offers its customers hotel room reservations at over 295,000 hotels worldwide through the Booking.com, priceline.com and Agoda brands. In the United States, it also offers its customers reservations for car rentals, airline tickets, vacation packages, destination services and cruises through the priceline.com brand. It offers car rental reservations worldwide through rentalcars.com. As of December 31, 2012, its international business (the majority of which is generated by Booking.com) represented approximately 82% of its gross bookings, and approximately 92% of its consolidated operating income. In 2012, the Company launched Express Deals, a merchant semi-opaque price-disclosed hotel reservation service at priceline.com, which allows customers to see the price of the reservation prior to purchase but not the identity of the hotel. 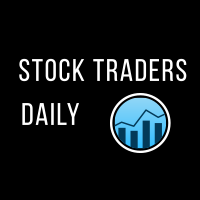 On May 2013, the Company acquired Kayak Software Corp.
For a limited time get your FREE Stock Traders Daily report on PCLN. Get it now.